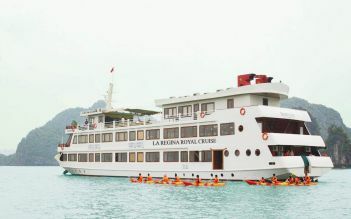 La Regina Royal creates the perfect getaway for travelers who desire to explore the exotic of the World Heritage Site. Known as the charming younger sister of La Regina Legend, La Regina Royal is not merely as elegant and luxurious in every detail as her sister, but also youth oriented with a cozy atmosphere and a delightful blend of traditional Vietnamese design. 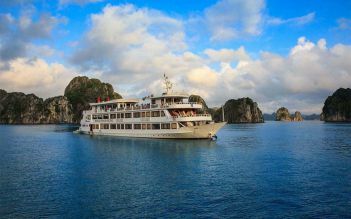 A cruise trip with La Regina Royal is a combination of the bay’s most magnificent scenery, local attractions and on board amenities. Get ready for your most unforgettable moment on La Regina Royal.